Which CW Show Are You? What do you do if someone confronts you? What's the best way to rescue someone (from an enemy or awkward situation)? Acting on impulse. Always trust your instincts! As long as you're faster than your foe, you'll be fine! You find $100 on the ground outside a convenience store. What do you do? You are Supergirl! You're strong, independent, and you've got your priorities straight. You tend to put others' needs ahead of your own, which sometimes opens the door for people to walk all over you. But you've got a strong heart and never back down to a challenge. You go, Supergirl! You are The Flash! You've got a glass-half-full outlook on life and you'd do just about anything for your friends and family. Your magnetic personality makes you the center of attention at most events. However, you tend to rush into things and value quantity over quality, so be sure to stop and smell the roses every once in a while! You are Arrow! You're smart, focused, and tend to be a little stubborn. You value justice and have great attention to detail. You have a reputation for being too serious, which can be misunderstood as being mean. So maybe try to lighten up every now and then! You are Riverdale! You're mysterious and a little moody, but never boring! You're always on trend and love good gossip. You sometimes have trouble reading people, you have a reputation for being sneaky, and you don't always follow through with your plans, but there's nothing a good Pop's cheeseburger can't fix! You are Jane the Virgin! Your life is pretty complicated and a little dramatic, but there's nothing you and your family can't handle together. You're loyal, kind, and selfless. You tend to be indecisive and you sometimes let the greater good get in the way of what you really want. Just don't forget - you can't help other people if you don't help yourself first! You are DC Legends of Tomorrow! You are loyal, brilliant, and a true team player. You're strategic and always stick to the plan, even if it's at your own expense. You tend to quickly pick up on trends, but get bored easily and move on. Your greatest strengths are your patience, intellect and kindness. You are Crazy Ex-Girlfriend! You're quirky, funny, and always willing to try new things. You're also impulsive, daring, and you're not afraid to get your hands dirty. You tend to bounce between relationships because you have an idealistic view of who you should be with, so take some time to appreciate the people who love you for who you are! You are Supernatural! You're committed to family and you fight for what's right. You don't seek the spotlight or take things too seriously. You're thoughtful, strategic, and resourceful. You value a few close friendships over lots of shallow ones. Protecting your family and friends is what life is all about! Are you faster than a speeding bullet? More powerful than a locomotive? Or maybe you're a normal human being just trying to get by. 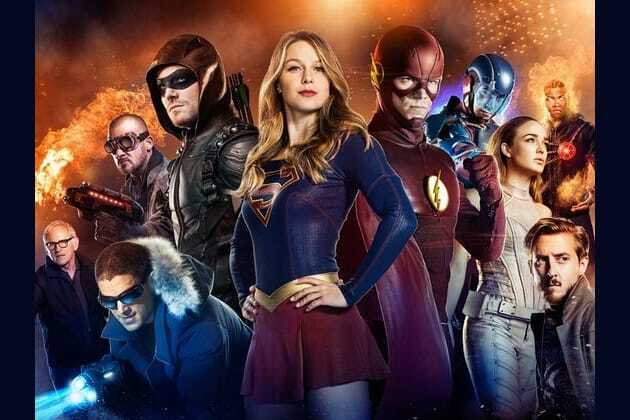 Take this quiz and find out which CW show you're most like!